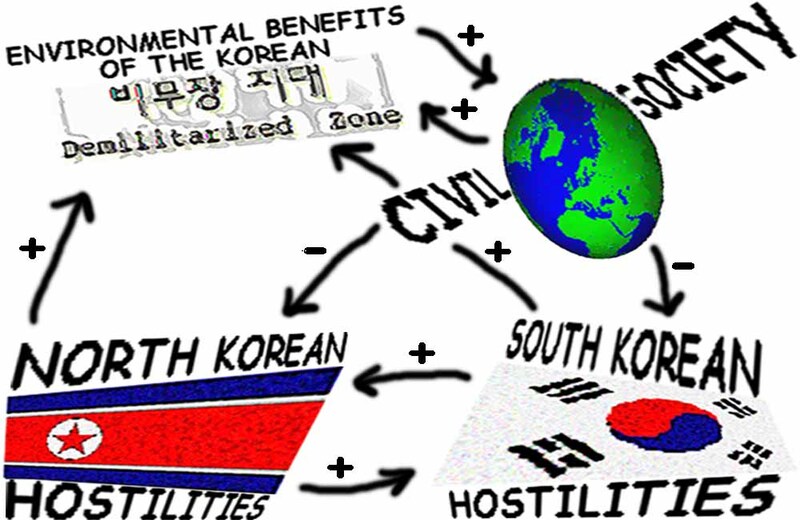 The Korean War never ended, due to the two sides, North and South, never coming to any sort of peaceable agreement. The armistice, signed in July of 1953, is thought by many to be a sort of peace agreement, but it was signed as a cease-fire, only. The only signatories to it were North Korea, China and the United States. The fact that South Korea has never been party to any agreement has assured that both sides may keep the war going. But the armistice has brought an interesting and positive result. The armistice established a Demilitarized Zone (DMZ) that was created with the intent of providing a buffer zone between the North and the South that would help to preserve the armistice treaty. What Korean leaders did not foresee was that this area would accomplish great good outside its original purpose. For 44 years, this 248 kilometer (151 mile) stretch of land separating North and South Korea. It has come to provide an environment in which hundreds of species of plants and animals (some endangered) have flourished as an result of the war-like conditions surrounding the DMZ. The Korean War began on June 25, 1950 with the invasion of South Korea by North Korea's Kim Il Sung. Due to North and South Korea having viewed each other with fear and/or disdain for decades before the war, hostility between the two sides was not new. The South tended to view the more prosperous and developed North as brutal and uncouth, while the North believed the South to be decadent and effete. The formal split came in 1945 when the North and the South chose opposite sides at the beginning of the Cold War. "The attack upon Korea makes it plain beyond all doubt that Communism has passed beyond the use of subversion to conquer independent nations and will now use armed invasion and war." The war dragged on for about three years, interspersed with unsuccessful peace talks by the parties involved. "It was General Dwight D. Eisenhower, coming to office as U.S. President in 1953, who forced the pace of negotiations to end the war" ("A Potted History. . ., 97, 3). The armistice was signed on July 27, 1953, by North Korea, the U.S. and China, lacking only the signature of South Korea, who refused to sign. It was South Korea's missing signature that has kept the two sides officially at war since that time. While the Korean war was seen as a seminal event in the unfolding of the Cold War by the rest of the world, it had dire effects on Korea. It achieved nothing and resolved nothing, leaving two regimes in the severed country at each other's throat for the next half century. It also showed that while the Korean War was a civil war, is was something larger, which larger powers fought on Korean soil ("A Potted History. . ., 97, 3). The Korean Demilitarized Zone (DMZ) was created by the armistice at the end of the Korean War in order to keep a safe and protected distance between North and South Korea. The DMZ, in the words of one writer, is one of the most "phenomenal military edifices left on this planet after the end of the Cold War" ("Demilitarized. . ," 1997, 1). The DMZ extends roughly 150 miles in length along the 38th parallel and is two and a half miles wide, or six miles wide, if one includes each country's "buffer zones." Buffer zones are the two to three mile strips on either side of the DMZ, which are used to facilitate border protection. The terrain is varied and spans Korea's multiple ecosystems, which range everywhere from mountains to jungles to water land habitats. This strip of land has been untouched by human hands since the signing of the armistice in 1953. 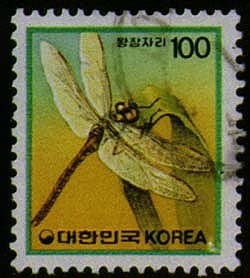 Since that time, the DMZ has become home to many species of plants and animals. Many plants and animals thought to be extinct on the Korean peninsula, have been found in the DMZ. This factor is significant because already more than 18 percent of Korea's vertebrate species are endangered or extinct, including 60 percent of amphibians, 45 percent of reptiles, 13 percent of birds, and 25 percent of mammals, due to Korea's continuing urbanization. Squeezing 1,230 people per square mile, South Korea is one of the most densely populated countries in the world. Because the DMZ has been left alone for almost half a century, it has become an important stop for birds on "the East Asia Migratory Flyway"(Jordan, 1997, 1). Rare Manchurian Cranes and Siberian herons are two of the many birds that use the DMZ as a resting place along their migration route. However, this strip of land has drawn more than just birds. In 1987, a group of South Korean scientists discovered "41 native and 40 rare species of plants, along with 16 native and 8 rare species of fish in the three-mile wide South Korean buffer zone adjacent to the DMZ." They also found 14 species of animals not previously know to live in the area and 8 species that are known to be threatened or endangered (Drohan, 1996,1). Recent reports show that the U.S. has voiced its willingness to take part in negotiations to ban land mines. The one exception to this has been the roughly one million land mines used to protect South Korea from an invasion by North Korea. Pentagon strategists assert that the land mines are vital to thwarting any invasion by the 900,000+ troops posted along the DMZ (Myers, 1997, 2). The affect that land mines have had on the environment is not discussed in the available sources although they do report that after almost 50 years of land mines, any animal heavy enough to set off a land mine no longer lives in the DMZ. The DMZ in its role as wildlife sanctuary is protected as long as the conflict between North and South Korea is continues. Ironically, peace is the one thing that threatens the DMZ's longevity. Environmentalists fear that if a peace treaty be signed between North and South Korean, ambitious developers and lax environmental laws will conspire to ruin the DMZ. The land's incredible natural beauty and its nearness to South Korea's capitol (Seoul is 20 miles south), development will be in the exclusive price rage of the very rich, which means big profits for the developers involved. Dr. K.C. Kim, director of the Center for Biodiversity Research, has written and published Biodiversity Korea 2000: A Strategy to Save, Study and Sustainably Use Korea's Biotic Resources, a "blueprint" for biodiversity conservation for South Korea. Kim visualizes the DMZ as an "eventual core of a larger network of protected areas across Korea, all connected by natural corridors or greenways"(Brown, 1996, 2). With these ideas, Kim has been proposing that the DMZ be officially converted into a system of bioreserves. These would offer sanctuary for rare and endangered species of plants and animals. Also, it would offer an economic boost for both the North and South Korean economies because it would provide opportunities for "increasingly popular ecotourism and research of organisms which may have medical and commercial uses" (Drohan, 1996,1). The kidnaping of South Korean farmers in early 1997 and other petty violent act by both North or South Korea, has made it increasingly clear that their [almost] fifty year conflict needs to end. Kim sees the DMZ bioreserve as a way to enhance cooperation between the two Koreas, in addition to its importance for conservation. "The environment is a benign, seemingly apolitical issue on which the Koreans could possibly agree," observes Kim. Environmental issues may be the least provocative way of breaking the ice"(Drohan, 1996,1). The Korean War began on June 25, 1950 and "ended" (not completely) on July 27, 1953, although the war between North and South Korea that keeps the DMZ intact continues to this day. One could also add other world actors to this list: 1) governments who are involved in negotiations (China and the U.S.), and 2) environmentalists wanting to facilitate conservation of the many species that have taken refuge in the DMZ. In the event that a peace accord is sign between North and South Korea, the habitat loss that is threatened is that of losing of DMZ lands to developers and thereby losing all or most of the plant and animal species that live there. The Korean War conflict has not, to this day, been settled. While steps are being made by both North and South Korea to resolve it, progress is slow and arduous (Myers, 97). Recent aggression by North Korea, which slows the peace process even further, has included the shooting of a U.N. peacekeeper and the kidnapping of three North Korean farmer. According to Arthur Hu,who cites Aviation Week, there were five million civilian and military fatalities during the Korean War. Fatalities in the last two decades have predominately centered around the DMZ. This is where the tensions of each opposing side manifests, whether by soldiers visibly brandishing weapons well outside of the security area or by a more overt taking up of defensive positions inside the security area, thereby violating the armistice agreement (Crowell, 96, 1). Due to the volatility of the region and the uncertainty of whether or not a bioreserve will be considered once a peace agreement is settled on, and due to the integral part that both North and South Korea play in its establishment, the level at which this is considered is at the international level. After 44 years of an armistice meant merely to silence guns long enough to arrange a peace agreement, both North and South Korea would benefit from an end to the war. Without a peace treaty, both side are free of all accountability leaving either side with the ability to violate the armistice in any way, shape or form. a peace treaty, according to some, would "bind the two sides to certain international norms" (Myers, 1997, 3). As of early 1997, North Korean leader Pyongyang has agreed to move toward "something more lasting" than the fragile armistice. This means that while it may not immediately entail peace with South Korea, he does have his sight set on at least a peace treaty with the United States (Crowell, 1997, 2). As of the date of this rendering, no treaty or agreement has been finalized although there have been other meetings between the parties most involved (North and South Korea, the U.S. and China). The future status the DMZ is also in limbo. The wildlife contained therein are at the mercy of North and South Korea and the decisions regarding future amicability. Jordan, Mary. Wildlife Fourishes in No Man's Lands The Washington Post, (October 8, 1997). Myers, Steven Lee. One Step at a Time: Why Washington Likes Land Mines. New York Times (1997, August). Myers, Steven Lee. It Takes One to Start a War, but Four to Make Peace. The New York Times (1997).